Internal Masonry announces: Counterforce, the crowning new release of mentation electronics, from Black Mecha. Out, on limited vinyl format, January 12, 2018, by Profound Lore Records. 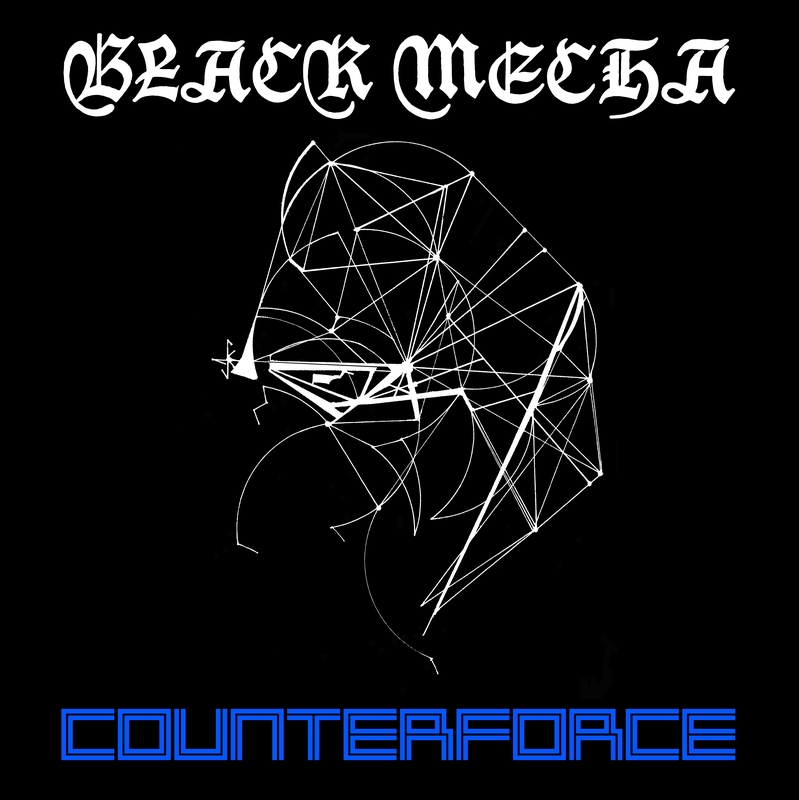 Black Mecha – Counterforce provides raw beats and hooks, alongside reflexive black laser rays, cumulating in a type of sci-fi themed conceptual rhythm music for your mind/body; (one in the same). The Counterforce visual art, adorned on the front and back cover, provides an advanced actualization of Internal Masonry S. Star Sigil rumination emanation metaphor technique of which encompasses special geometric based inner space mind constellation illustrations. Please enjoy this music in your own way because that is the only way of Black Mecha.